Hi there friends! 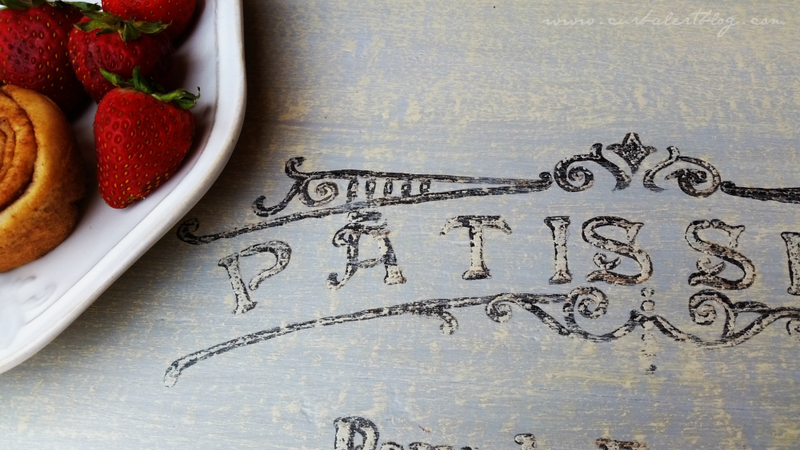 Remember a few days ago I showed you how I did that cute little French Bakery Stencil? 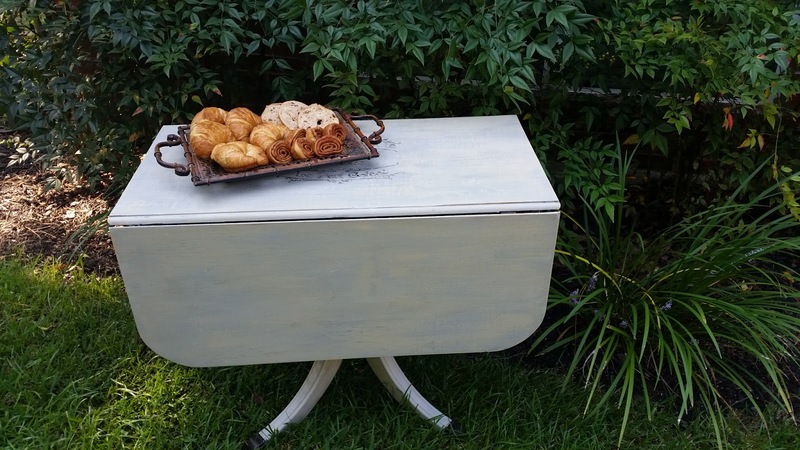 As promised, today I am sharing the cute LePetit French Bakery Table as part of the Monthly Themed Furniture Makeover Series! A better picture of the paint colors below; in some lighting it looks more gray, and then more cream in others. 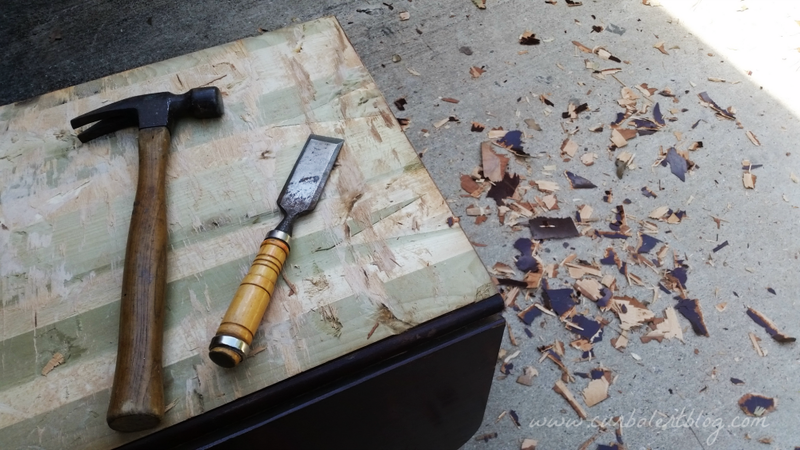 I ended up stripping off all of the damages veneer and I might add that I didn’t do a very good job of it. That sucker was adhered so tight that I had to chisel in a few places and damaged the top even further. 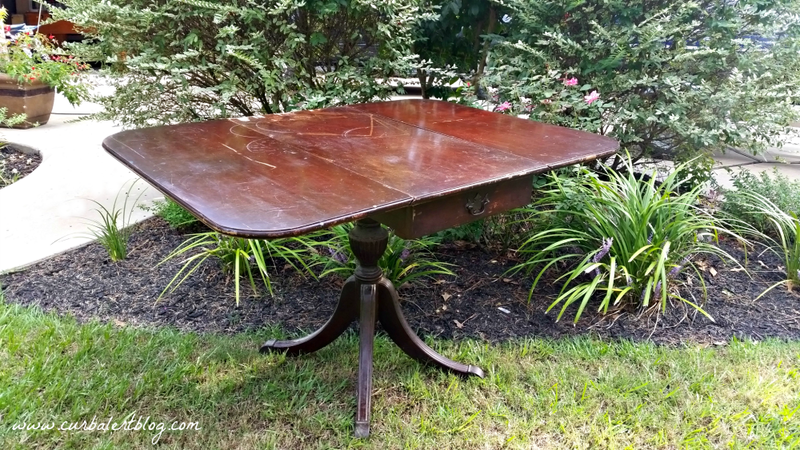 Lots of sanding and lots of patience later I was able to turn the table into what I think looks like a well loved old heirloom farmhouse table that you may find in a quaint little family owned french bakery! 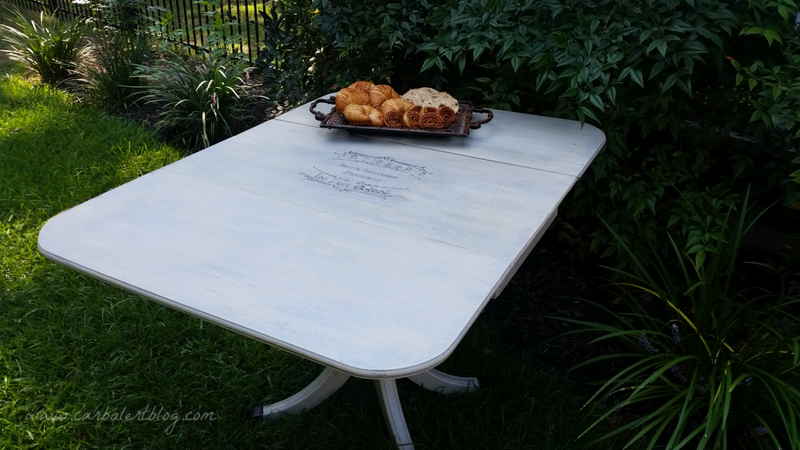 I painted/dry brushed the table in various layers of Annie Sloan Chalk Paint in Paris Gray and “oops” paint from Behr in a light cream. 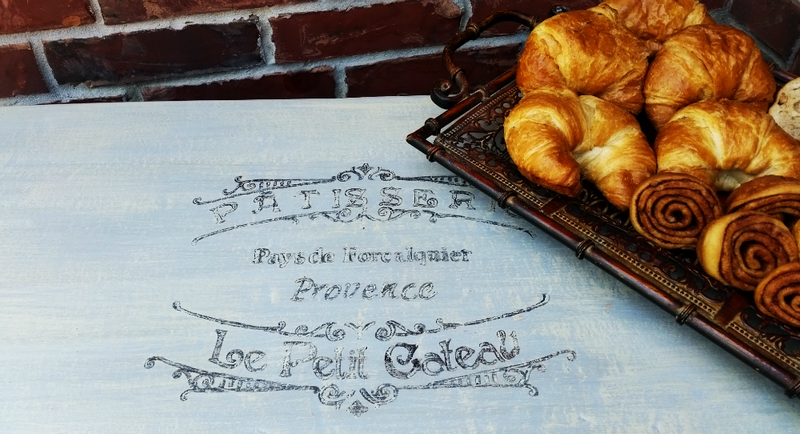 I shared a step by step tutorial on how I painted the stencil and where you too can purchase the same IN THIS POST. 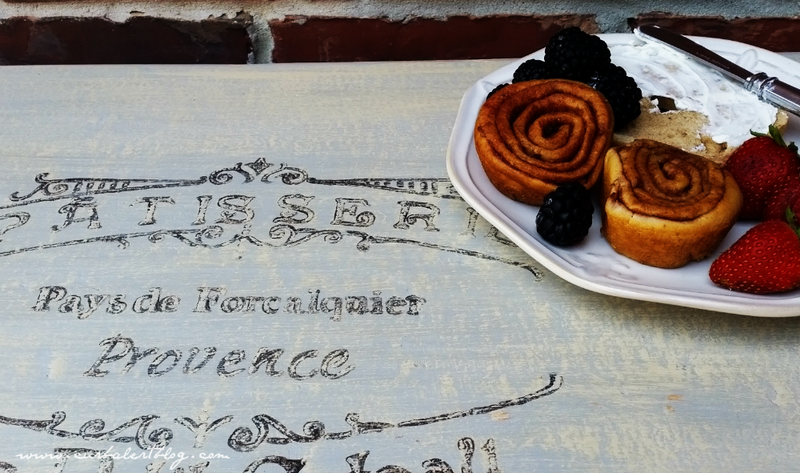 Now that I am hungry, I am going to grab a french roll and take a look at my blogger friends’ projects. Come join me! 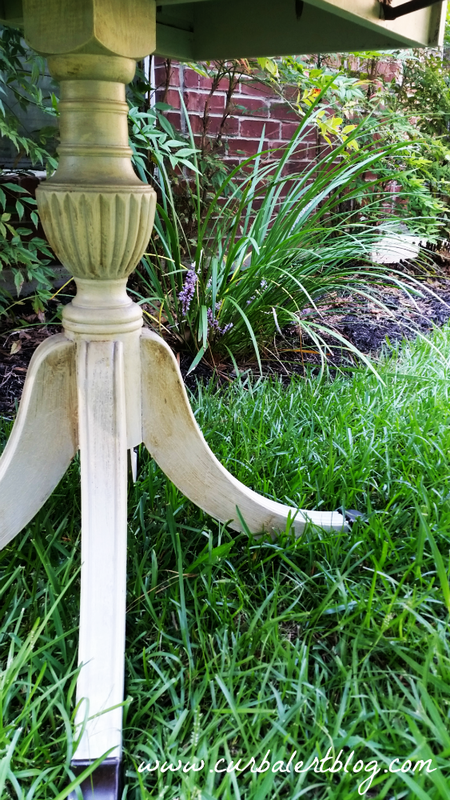 Your patience paid off Tami, the table is gorgeous! 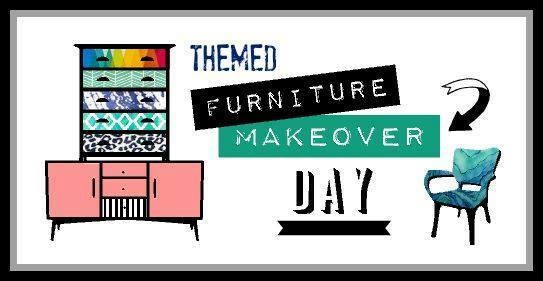 Love how a few of us used Paris Grey for our French makeovers. So very French! I adore the stencil!! Wonderful colors too. 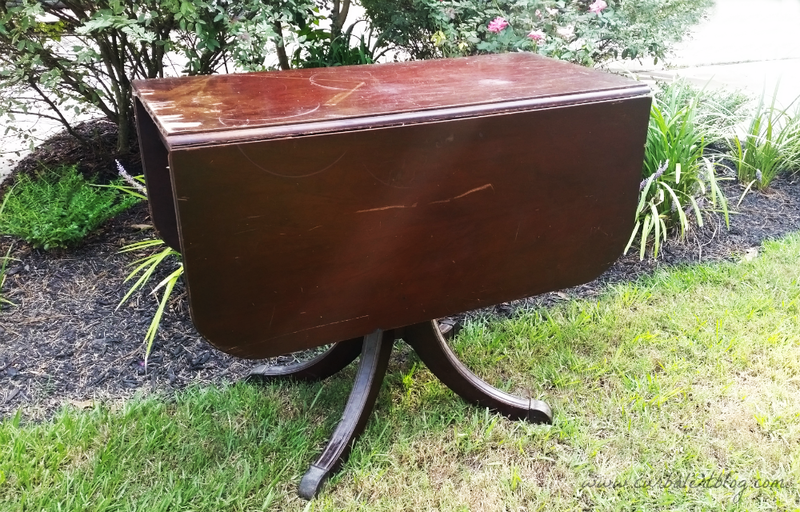 I know this table had to have worked you to death but the end result of your hard work was well worth it. I love the paint color that you used and also the stencil that you put on top. It turned out so pretty, Tami! I agree that it could totally be from a French bakery. 🙂 I love the soft colors you chose.